Having a dry cough can really be troublesome especially if you are working and your work involves you dealing with interpersonal relations. This can really dampen your sales talk and can get you more stressed. However, it does not mean that you have to just sit back and suffer while it ruins your day and momentum. There are steps which you could follow that can alleviate you from this. If you're like this, consult your doctor. • Step 1: The first step in getting rid of that cough is of course getting in touch with your physician. 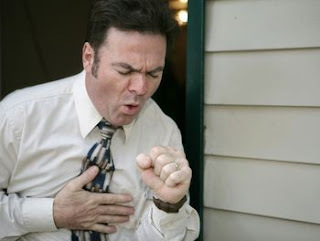 You cannot just take any random medicines which claims to relieve cough. This can be hazardous without the proper prescription. • Step 2: Once your physician has already prescribed a medicine, follow his instructions regarding it. More or less, your physician would recommend a suppressant rather than an expectorant-suppressant. The reason for this is because suppressants work better when it comes to controlling dry coughs. • Step 3: Make sure that you take your medications regularly and to take cough drops as well. If you are not comfortable taking cough drops then hard candy may help. Either way, they help relieving dry cough since they make your salivary glands more productive. This is important since the irritation caused by dry cough comes from a dry throat which drops or candies prevent since they lubricate the throat. • Step 4: Setting aside your medications, it helps that you lie down on an extra pillow in addition to what you have in bed. The important thing here is that your head is elevated when you sleep. This position also helps the body recover faster from coughs. • Step 5: Perhaps the most important practice that you should do is drinking lots of water and other healthy fluids like fruit juice or hot tea. This will keep you hydrated which can help fight off cough. Using a humidifier and or a vaporizer inside your room also contributes in making your environment healthier for you to rest at. Now, if you already followed these steps and the symptoms are persistent, always make sure that you consult your physician. Otherwise, these steps will eventually lead you to full-recovery. Keeping a healthy lifestyle these days can sometimes prove difficult due to a lot of factors. Furthermore, most people are too preoccupied with their jobs that they tend to take their health for granted. One of the most common factors which are currently endangering people’s health is unhealthy foods. Why so? For one, it is hard to fight the temptation if it is in the form of delicious food. But the good news is that there are foods which can serve as an alternative for this unhealthy food. One of the best is water. Unlike sodas, iced tea or coffee which all contains a lot of calories, water can be mixed with other natural sources of flavoring like lime, lemons and or even orange. Another known culprit that a lot of people often eat when stressed are French fries. French fries contain too much cholesterol and are bad for the body. A better alternative for this are baked sweet potato fries. Just put some salt and a bit of flavoring and it would taste like the French fries that you love. And rather than use a mayonnaise dip to add more flavor to it, using a non-fat yogurt combined with non-fat cottage cheese can do the magic. You can even add some pepper and some chopped parsley and onions to enhance its taste. For chocolate lovers out there, a better substitute to their favorite chocolate bar would be some low fat granola. Compared to the standard chocolate, it does not have that much sugar and calories in it. But even so, it still can give you the energy that your body needs. If you are looking for some afternoon snack or something that you could munch at the office, you can consider eating some wheat crackers along with some low fat cheese on it. Maintaining a healthy lifestyle does not always require a lot of sacrifice. However, it requires discipline on your part if you are to achieve your fitness goals. There are different ways to stay fit and healthy. Aside from regular exercise or workout, you can always choose the food to eat. 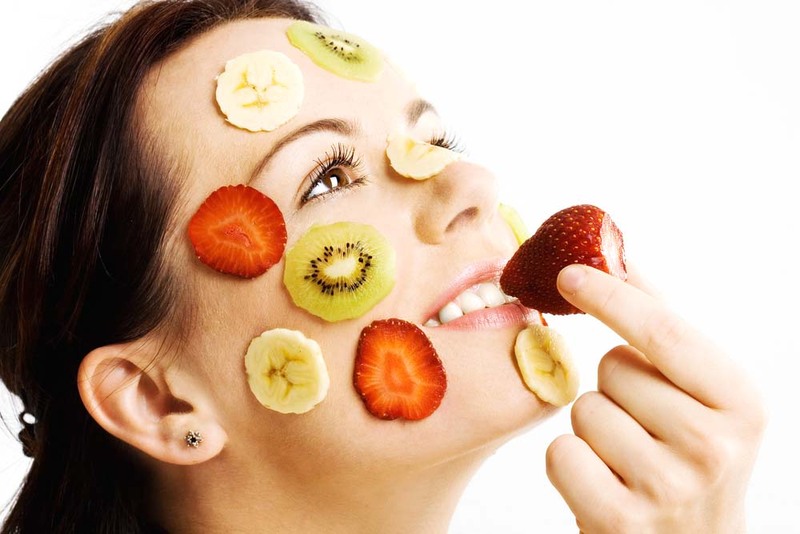 For more health and beauty tips, you may check healthandbeautyadvice.net. People these days often neglect the importance of a healthy body. And even those who do value their health, they tend to be complacent about their exercise routine. However, jogging in the morning or doing some push-ups is not enough. If you want to really get the results that you are looking for, it is important that you maximize working out and working out in a gym can help you achieve that. Working in a gym has a lot of advantages compared to just working out on your own. • Access to Equipment: A gym offers a lot of equipment which you can utilize to attain your fitness goals. If you need to lose some weight then you could have a good run on the treadmill. If you need to sculpt some muscles in your body then there are elliptical and some weights available for you to use. • Personal Trainers: Having the goal to lose weight is a good start but if you do not have a clue how you could achieve it, what you will be doing can be counterproductive to your objective. Gyms however have personal trainers whom you could ask for assistance in achieving your fitness goals. They can help monitor your progress and give you advice on what equipment to use as well as improve your lifestyle which also impacts your health. • Environment: There is nothing more motivating than seeing other people who have the same goal as you. Furthermore, working out in a gym opens up the opportunity of getting to know people who have the same goals as you. By working out together, it creates a positive atmosphere which can further motivate you. • Group Classes: In line with working out with others, gyms offer group classes which you can participate in. Yoga classes, Pilates and swimming classes are but a few classes which are available for you to enjoy in gyms. This works well if you are interesting in specialized work out sessions. You do not necessarily have to be a member of a particular gym if you think your schedule would not allow you to frequent a gym. There are a couple of gyms out there which offers their services for a “pay as you go” method. But then again, for you to be able to enjoy the full-benefits of working out in a gym, it is advisable to go for a full-time membership. Live a happy and healthy lifestyle! Learn more tips from healthandbeautyguide.org.